A vegetarian and broccoli quiche recipe with cheese and tomatoes with plenty of positive reviews from independent taste testers. This simple vegetarian quiche is perfect for a weekend breakfast or brunch. 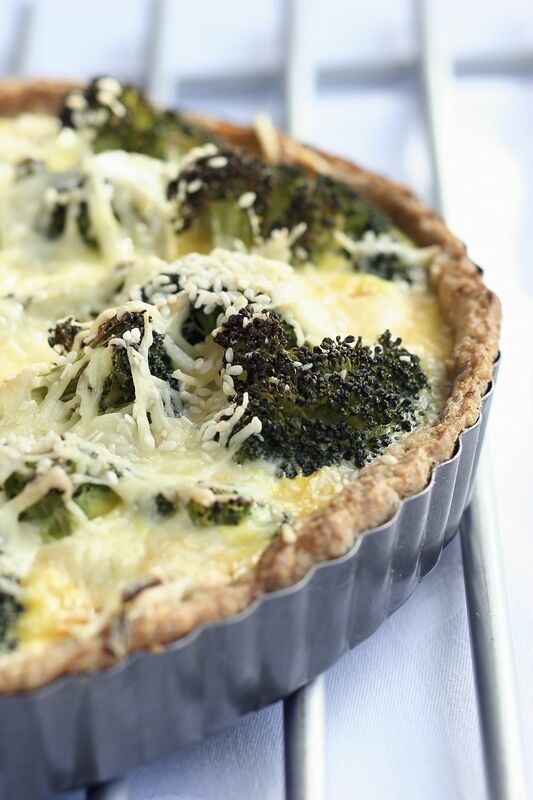 This vegetarian broccoli quiche recipe goes well with a whole wheat crust. Recipe courtesy the Wheat Foods Council. Like this homemade broccoli quiche? Scroll down for more vegetarian quiche recipes to try. Whip eggs with wire whisk. Pour into prepared whole wheat pastry crust. Slice tomato and place on top of quiche mixture. Bake for 35 to 45 minutes or until quiche tests done in center.